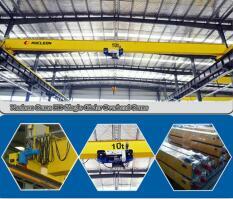 HOME » FAQ » How to protect against common faults in gantry cranes? 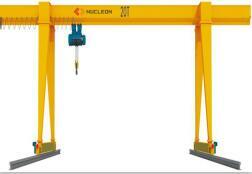 How to protect against common faults in gantry cranes? 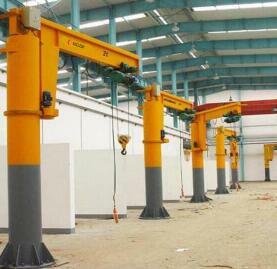 Gantry cranes are suitable for loading and unloading cargo at terminals, giving production flexibility and efficiency. At the same time because of mechanical failure, improper operation and other reasons, accompanied by the occurrence of accidents. 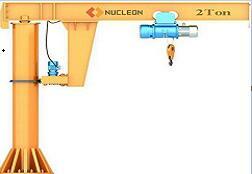 Next, analyze the gantry crane failure and protective measures. In the course of work, each wire rope force is not the same, the force distribution is also different, although the crane dedicated wire rope material is more special, but there will be wear and tear and other issues. 1, the crane shall not be lifting more than the rated weight of the goods. 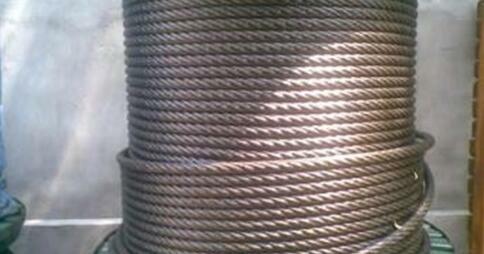 2, in different environments and work intensity, select the appropriate wire rope. 4, to ensure that there is no wire rope kink, dead ends, hard bending, plastic deformation and other serious deformation of the case to work. 5, the length of the rope is enough to let the hook down to the lowest position, and the remaining rope in the reel should not be less than 3 laps. Reel in the crane work process, which is an important force in the part, with the use of the longer time, reel and wire rope contact with each other continued to squeeze, friction, resulting in thinner wall, and finally broken. According to industry standards, when the reel wear to the original 20% or found the existence of cracks, should replace the new reel. 2, when the groove groove uneven wear degree of 3 mm or roll wall thickness reduced to the original 20%, wheel groove as a scrapped, replacement processing. 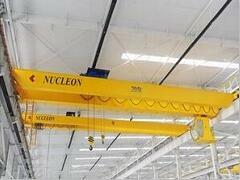 Hooks are used more frequently and are subjected to all cargo weight during the work of the crane. Once the hook is broken, it may cause a major accident. Generally due to long-term friction and overload caused the hook to produce cracks, deformation and damage to the fracture. 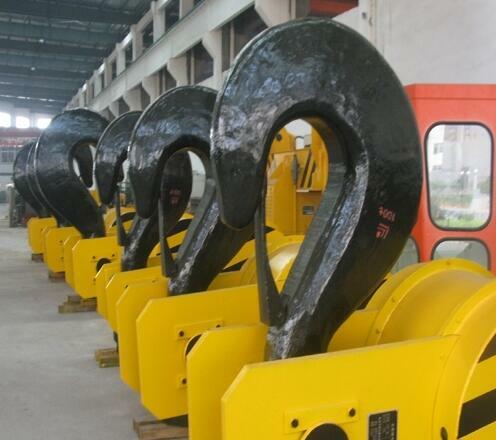 2, the inspection should be a reasonable assessment of the opening of the hook, the risk of wear and tear of the situation, there are broken according to the standard treatment, to prohibit the hook to re-use. The reducer is an important transmission part of the crane, and the torque is transmitted by the gear meshing, so that the high speed rotation of the motor is adjusted to the appropriate speed. 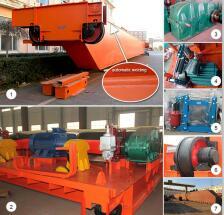 There may be problems with gear teeth breakage, tooth surface pitting, tooth glue, and so on during operation. 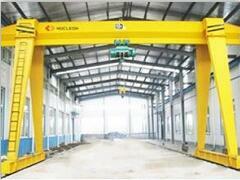 1, the crane can not overload work, start, brake action to slow, smooth, not too hasty, too much. 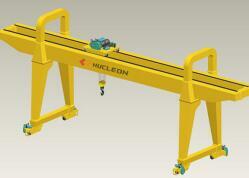 In the process of gantry cranes, the brakes are an important safety component for work safety. 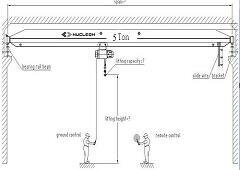 To prevent the suspension of objects suddenly fall, as well as to achieve parking and other functions. 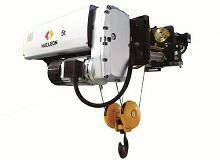 Only in the brakes in good condition, the crane can be accurate operation, safe work. Brake brake power shortage, sudden failure of the brake, and so mechanical failure. 4, according to the inspection of the situation to analyze whether the brake can work properly, to prohibit the work of the disease, the other time to the brake lubrication maintenance, cleaning.